Respawn has just unleashed Apex Legends for PC, PS4 and Xbox One – if you aren’t downloading it while you’re reading this feature then you’re doing it all wrong. Apex Legends is a fantastic free-to-play battle royale set in the Titanfall universe, albeit one without many of the touchstones that helped define the core experience in a generation heavy with first-person shooters. First, the bad news: The Titans are out of the game, as too is the weaponised wall-running that once helped Respawn carve out a place for itself in the market. The good news: It’s bloody awesome, with Titanfall’s weighty weapon handling and expressive movement only helping to give Apex Legends an edge over its most immediate competition. If it sounds like a property that is purpose-built to invite scepticism upon itself then you may be partially correct. Then again, Respawn has dealt with its fair share of sceptics over the years and always come out on top. This is, after all, the studio that rose out of the ashes of Infinity Ward; at its heart, the core team that helped usher in the defining first-person shooter experience of the modern era, Call Of Duty 4: Modern Warfare. Cast your mind back, and you may remember that expectation and scepticism couldn’t have been any higher as Respawn worked towards the release of Titanfall in 2014. “In every aspect, we've asked ourselves, ‘can we legitimately look at ourselves in the mirror and say we're doing the right thing here?’"
Oh, Titanfall. Did you play it? It was this little online-only Microsoft exclusive, built on Valve’s ageing Source engine, that sought to paint the David and Goliath fable across a frenetic sci-fi shooter canvas. It pitted delicate, dancing Pilots against powerful, porcelain Titans; the results were spellbinding. Just two years later, Respawn returned with a sequel and the determination to redefine the FPS landscape all over again as Titanfall shook off the shackles of platform exclusivity. While the multiplayer may have offered just minimal quality of life improvements (not that you’ll find us complaining), the studio did, arguably, deliver the most engaging single-player campaign since Half-Life 2. This is Respawn Entertainment, a studio that feels as if it has been purpose built to answer the baying barks of sceptics with phenomenal energy and impassioned execution. Look, he isn’t wrong on that front. EA is still fighting back against a tide of toxicity following the much-maligned launches of Star Wars Battlefront 2, Battlefield 5, FIFA 19, C&C Rivals and countless others over just the last few years alone. Put ‘EA’ and ‘loot boxes’ together in the same breath and be still – if you listen closely enough you’ll be able to hear the sound of the outrage machine whirring into action on Twitter Dot Com like a whining whisper on the wind. 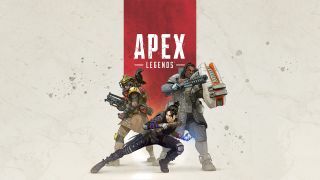 McCoy tells us that Respawn went into the development of Apex Legends with an open mind and he hopes that players will do the same as they begin to get their hands on it today. This is, after all, a brand new adventure for the studio. “We’ve never built a game like this before,” he admits, but then that’s all a part of the allure of it. The studio knows how the community at large feels about loot boxes, particularly those orchestrated by EA, and it knows how players will feel about yet another battle royale joining the fray, but this isn’t your standard genre game – it’s a battle royale crafted by Respawn. This is uncharted territory for the studio and that’s exciting in and of itself. Legends is built around squad play, with 20 teams of three dropping down onto one tightly designed and heavily playtested map, battling it out over a smattering of gear and territory in an ever-condensing survivable space. If that’s fairly standard for the genre, its characters are anything but. Each of them are individual creations, personable characters with their own abilities, animations and voice actors – not unlike the heroes you’d expect to find in Overwatch or the Specialists you may have encountered in Black Ops 4. It’s in these characters, the way they are balanced, and the way they are sold on the marketplace, where Apex Legends will likely live and die in the minds of many would be players. It’s for this exact reason that Respawn “started with the goal of having the fairest systems possible” when designing its free-to-play systems, drawing from a variety of resources and industry examples as it sought to establish its own. One thing McCoy is keen to stress is that Respawn has poured a hell of a lot of time into game balance between the characters – the last thing the studio wants is to create an environment that resembles anything close to pay-to-win. “For the sceptics of the world, [purchasing characters] will immediately fire the alarm bell of 'pay for power.’ But we care a tremendous amount about character balance… and you can also earn all of them [in-game], you don't have to buy them,” he says, noting that all additional, playable characters can also be purchased through the accrual of an in-game currency – amassed through the natural course of play – should you be generally opposed to paying for new content. If you're looking for another battle royale game to play while you're waiting for Apex Legends to download – or if this one doesn't grab your attention – be sure to check out our list of the best battle royale games. Respawn is now waiting to see whether all of its hard work is going to pay off. We get the sense that Respawn believes that its attempts to pack an E3 style reveal in with a simultaneous launch is more trouble than it’s worth but, ultimately, it’s an important first step towards building a relationship with the community that it hopes will form around this game. “We've load tested significantly – for millions of players – but we have no idea who is going to show up." So, what now? Respawn is currently holed up in a command centre of sorts. It’s preparing for the influx of players that are about to crash against its servers and apply a level of scrutiny to its map, characters, and balance that it could never hope to do – no amount of playtesting can prepare a studio for the launch of a live service game, let alone one that’s free to play with the weight of one of the most revered developers and largest publishers behind it. But Respawn is ready – at least it thinks it is. The core of the tech powering Apex Legends – as well as the servers and matchmaking toolsets behind the scenes – is the same of that behind Titanfall 2, so the studio is confident that this launch will go as smoothly as its others. And if it doesn’t, it’ll see it all from its command centre, where Respawn will be watching and waiting to see if its huge free-to-play, battle royale gamble will ultimately pay off. Of course they have; not that we would ever expect anything less from a studio as dedicated and passionate as Respawn. Will Apex Legends be worth all of the trouble? You can answer that question for yourself right now – it's available to download for free on PC, PS4, and Xbox One.